Toot Toot- Aint she a beaut! I have a thing for bikes and old motor cars. Bikes were easier to come by. My early cars came in little match boxes, or had the rather unglamorous moniker Dinky Cars. Not awe-inspiring when you are ten. 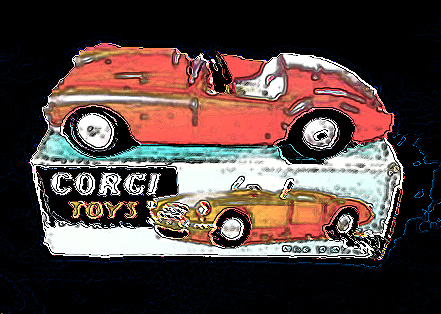 Even so, it was great fun to get those little Match Box cars in their little boxes which not only served to protect the die-cast metal cars, but also did double duty as their garages. They were magnificent. You could send them crashing into each other and they lasted for crash after crash! I had my first bike crash when I was about eight years old. I was racing faster than a jet to the moon. My feet pushed those pedals so fast they disappeared in speed. Then the handle bar came off and suddenly I knew how to fly. I remember the thud and my front teeth going numb for a few moments. It was a long walk home when you have to carry your bike in bits. That’s what happens when you pedal faster than a rocket ship! 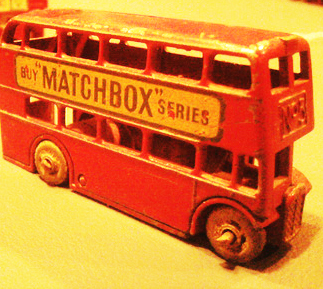 The Little Red Matchbox Bus! What fun it was to open the match box and let this little beauty roll out. 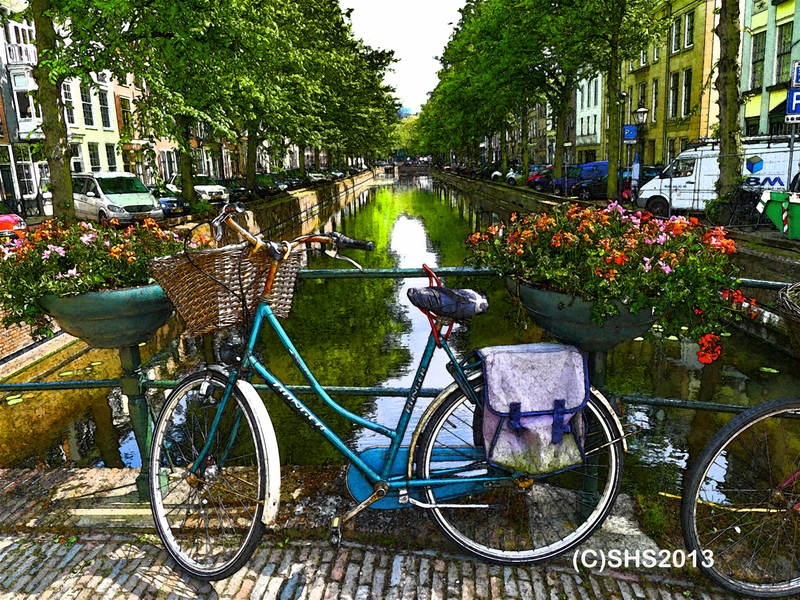 I was in Holland recently and just admired how much the Dutch love their bikes. I was and am still very jealous about the whole thing. 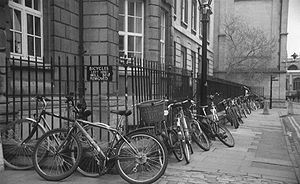 Lanes for bikes, and bikes everywhere, it reminds me of Oxford and the train station with its sea of parked bikes. Ten guesses where yours is! When you are in Holland you first have to check if you can walk safely across the street with a regular eye out for cars, but you have to also watch out for bikes suddenly whizzing by! I was reminded more than once to not wander on paths, as bikes were likely to zoom past me. I survived without being knocked over and without knocking over anyone myself. 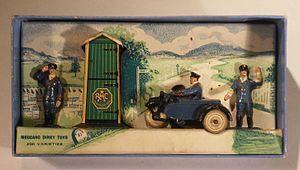 Gallery | This entry was posted in Toot Toot and tagged Austin Martin, Bicycle, Bug Eyed Sprite., Cycling, Dinky Toys, Holland, Matchbox, Mg Midget, MGA Roadster, Morris Garage, Oxford. Bookmark the permalink. 2 Responses to Toot Toot- Aint she a beaut! Hi Tom! Never funny at the time is it? 🙂 I am just amazed that I didn’t lose my two front teeth!